Despite gains, renewable energy has a long road ahead in California | West Coast Solar, Inc. The year 2013 was an exciting one for the renewable energy industry in California, which saw a massive amount of development throughout the state, including a significant number of solar installations. As Rewire, a KCET.org energy blog, notes, these numbers must be looked at in context. The fact is that, although solar power continues to grow at exponential rates, it still makes up a relatively small portion of the state’s energy infrastructure, and renewables in general account for only about 14 percent of residents’ power consumption. The California government currently mandates that the state’s utility companies must derive a third of their electricity from renewables by 2020. At this stage, it is going to take a continued level of growth over the next six years to accomplish that. What are some things that can be done to continue the expansion of renewables, and specifically solar power? 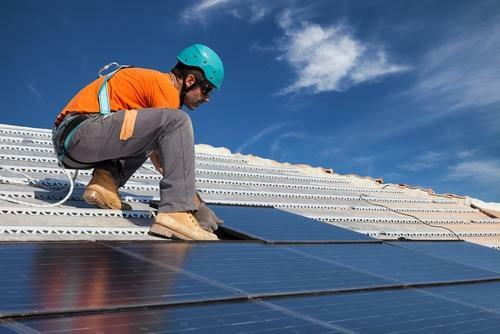 Policymakers should renew the California Solar Initiative (CSI), a piece of legislation that provided rebates for homeowners who have installed solar panels on their rooftops. The funding for residential systems has mostly been used up, but the program was extremely successful, leading to almost 1,900 megawatts (MW) of solar capacity added to the grid. The California Public Utilities Commission should resist calls by the utility industry to limit net metering and other benefits that encourage the growth of solar power. Such incentives have helped the state grow it’s renewable infrastructure substantially, and reducing them punishes those who are switching to clean technology. By switching to solar energy, your family can significantly lower its electricity bills and save thousands of dollars over the next few decades. Contact West Coast Solar today for more information.